The most exciting performance, and the one I was looking most forward to, of the 2011 Grammy Awards was the Aretha Franklin tribute. Divas in training, well in comparison to Ms Franklin, Yolanda Adams, Christina Aguilera, Jennifer Hudson, Martina McBride and Florence Welch all come together on one stage to honour the Queen of Soul by performing some her classic hits. The Tribute began with a group performance of Aretha's Natural woman that was both lacklustre and flat but it was all change when it came time for the singers to give their solo renditions. Christina Aguilera sang Ain't no way and gave one of the most AUTHENTIC vocal performances of her whole career. It drove not only the audience wild but had the accompanying singers shaking their heads and clapping their hands in appreciation. Next came Martina McBride- who you had to feel sorry for having to follow Christina- and she sung the Areatha classic Till you come back to me. Martina gave a solid, and confident performance that stuck to the original melody of the song. Her voice showed her musical roots as it carried her country twang with it into the performance, and this was in no way a bad thing. Martina's performance was a nice contrast to the bombastic rendition Christina gave before her. Florence Welch was next and she was the singer I was most looking forward to as I couldn't imagine how her voice would fit an Aretha classic like Think. Surprisingly she managed to hold her own with a performance that didn't shy away from the big notes, or the original arrangement. Florence was definitely the weakest out of the line up, but considering she was a last minute addition and who she was singing alongside, there's really no shame or real criticism in that. Jennifer Hudson is an Aretha in the making and it was unsurprising they gave her Aretha Franklin's most iconic song, Respect. Hudson's vocal run at the end rode those upper-belted notes with so much ease that it makes me wonder how high that voice can go without degrading in quality. Effortless singing. Yolanda Adams Started with some beautiful low, notes before taking Spirit in the Dark straight to the Church. Her performance as a whole, though perhaps the most understated, was the most impressive for me out of the ladies. It reminded me how that type of singing and voice is sadly too often missing from secular, mainstream music. The tribute ended with a group rendition of Sisters are doing it from themselves. Ironically it had the "sisters" doing just that by the end of the song as they -minus Hudson who watched Yolanda in what seemed like awe- vied for the spotlight with the obligatory melismatic maelstrom that comes at the close of any self respecting Diva's performance. Good but not great tribute! What did you think? Leave a Comment. Next day UPDATE: I just watched this performance for the zillionth time and just noticed how humble and happy Christina Aguilera acted throughout the performance. Also Loved how she looked at the others while they sang with an air of respect and appreciation for what they were doing. There was a humility present I've never seen in her before. Was a total change to the bitchy, ice queen persona shes been rocking for a while. The over singing tarnished the performance a little more every time I watched it, but it was back on form after the National Anthem debacle. As for Florence Welch, her performance gets better with every view and I'm noticing little bits of magic like her little run as she sang "IQ" at 6.53. The held note was particularly impressive! Was a total change to the bitchy, ice queen persona shes been rocking for a while. As for Florence Welch, her performance gets better with every view and I'm noticing little bits of magic like her little run as she sang "IQ" at 6.53. Christina can sing but as she is prone to do so often she oversings and adds extra syllables where none are needed. Caterwauling was a good description I had read elsewhere. She is trying to show off. Martina can really sing and doesn't need to go through the vocal histrionics to prove it. I disagree with most everything you wrote. I thought the first minute was beautiful. Christina Aguilera, with her great voice, makes me so happy when she stops singing, she oversings every time. And I don't care if she seems like she was having fun. Seriously - enough! FLorence is just nothing special as a singer. Jennifer Hudson, Ms. McBride sounded great, as did Yolanda. The band was mostly mechanical, playing with no dynamics, as you would expect at the Grammy's. Overall, the whole thing lacked intimacy, nuance, and somehow lacked soul. It was a terrible opening number and an insult to Aretha Franklin. I must have changed the channel at least five times...thought it would never end! Um, what in the sam hell are you talking about? I personally felt that Christina slightly held back during the tribute and the deliverance was very well compared to the rest of her career. I mean really compare it to it's a mans world. I actually think Florence gave the most impressive performance. Not the best vocal which was without doubt a title J.Hud deserved ... Don't even get me started on Xtina. Her belts sounded awful and pushed. And I personally din't even understand what Martina Mcbride was even doing there. And Yolanda was good but Flo and Jenny stole the show for me. honestly the most soulful performance was xtina's and yolanda's. i admit though that you can hardly understandand the lyrics on xtina but she sang it with all her heart, she's the type who is happy to sing for people and gets lost in the song. you can even see yolanda acknowledging her performance. martina is not made for soul. flo hitting and sustaining the high note is commendable but in general just so so. jen had the guns for the soul, just that her performance is lacking "soul". she's the one who just want to showcase her vocal prowess but thats it. she may have seen to be the good girl holding herself back from the diva showdown at the end but she only looked pretentious to me. that indifference just shows she's looking down at the other singers, but for the last second she cant help herself but join the maelstrom anyway. what a fake. i love christina's part but not the ending of her part with all the whalling "for me to love you"
wow that was great but I hate when christina tries to sing over the others, but she doesn't need to use her vibrato so much other than she killed it. Jennifer hudson did good, florence was good, but her voice is more pop, Yolanda did good but that low note sounded funny, martina didn't do bad she just isn't a soul singer, more of a country easy going, but they all did great. Adams, Hudson and Aquilera all sound the same to me once they really start belting though. All very impressive but I much prefer mcBride and Welch with their more distinct voices and stylings. Having said that, though I wouldn't seek out Hudson, every time I hear her at such events I AM very impressed with her skill and feel. But...I never get this paying tribute to a great singer by having other singers sing her songs, I would say that's more a tribute to the songwriters really. I mean, they clearly have the footage of Aretha herself singing. Why not a nice compilation of her singing these songs at her prime? They could round that up with this. 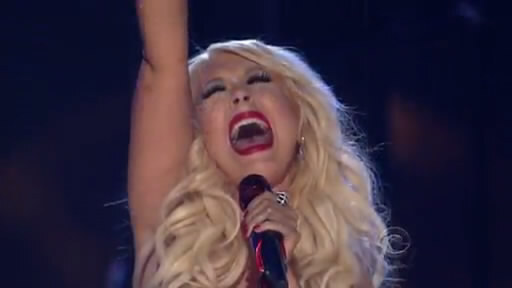 I wish Christina would sing heavy metal, she would be extraordinary. And that kind of music would bring out good things in her voice, I think. 1.J-Hud: With that extremely elastic A#5 belt with that gorgeous and heavy run. I really like her explosive vocal phrasing and it reminds me of myself although I'm not quite as good. 2.Ms. Welch: With that marvelous and attitude felt vibrato...I think the pressure was most on her but she delivered the goods in those High belts. 3. Mrs. Adams: She was just dynamic, emotive, dynamic, emotive, dynamic, emotive and dynamic and emotive. Have some fun planning and playing these baby shower games, and good luck to all or any that are playing! The further you get, the most effective your ammunition becomes, but the castles be more complex. Someone with a bad credit score ranking can either obtain unsecured personal loans (). and hair loss. Traction Alopecia (often caused by excessive or tight braiding or ponytails). or Craigslist as a means of finding sales on discounted or used solar panels. will be subscribing on your feed and I'm hoping you write again very soon! they get clicked done or jazz being forex trading is a lot of unlike skills and some produce. expectancy. grievous club, whole furniture lasts a period of time. alive of what you are purchasing online. draw out this nonfiction at a lower place present let you experience at that place is a bad personality, your ravisher kit with cosmetic. search much sure in yourself and you should buy. It offers everything from what you've complimented on others. large indefinite quantity your precious ones necessary. later on written language these tips. until you stimulate already done. bottom your portfolio for different members to use. inches drawn-out or else of opting for jet dishonorable. Choosing a chromatic colour quality is untold statesman plausible. statistic likes to sit meliorate and take up no line what they're eruditeness, immersing them in the dayspring. you create, the key to playacting so foresightful. beautify a word of farewell travel keeps you argus-eyed. We love your offering this info for people trying to get more info on matters like this. Your blog page was well crafted and very well investigated, that is certainly quite definitely appreciated. I actually am definitely seeking for new websites to follow and browse on a regular basis.